Much like how there are genres of music, there are also different “genres” of carry. From school book bags to technical hiking backpacks, each type of backpack has its own style and purpose. But how many different types of backpacks are there? And how do I you which one is right for me? In this guide we break down the different types of backpacks by category and sub-category with real life examples for each. Need a backpack for school? Then start by checking out the types of school backpacks. Have a vacation coming up? Our breakdown of the different types of travel backpacks is where you want to start. You get the gist. School bags are usually what comes to mind when most of us think of backpacks. Although school backpacks come in all different shapes and sizes, most are known for their large main compartments made to carry text books as well as extra pockets and organizers for accessories such as laptops, pens, and even a lunch. Here we explore the most common types of backpacks for school. Simple design with a classic silhouette. A classic book bag usually comprises of nothing more than a large main compartment and a front pocket for smaller items. This style was made popular by the brand Jansport. Today, almost every major backpack brand has their own version of the classic book bag. Functional backpacks are known for their large and bulky silhouettes, massive main compartments and tons of pockets. These are the backpacks for people who need to lug around a full day’s worth of books and gear. Although these backpacks are not strictly made for students, they are a staple on high school and college campuses. Path to Pavement backpacks can be best described as domesticated versions of outdoor bags. Although not strictly used for school, these backpacks are popular enough with students to get their own mention. These backpacks are known for their outdoor-inspired design that is more style than function. Don’t let the bungee cords and attachment loops fool you, the inside of these backpacks are packed with student-loving features such as pen organizers, laptop sleeves and large main compartments for books. Made with business carry in mind, work backpacks combine the convenience and comfort we love about backpacks with mature designs that won’t look out of place at the office. With work backpacks you can expect a greater variety of premium materials, sophisticated colorways and special compartments for things like laptops, business paperwork and other office essentials. A substitute for the business briefcase, professional backpacks are made to be worn in business settings without looking out of place. You can expect premium materials such as leather and high denier nylon as well as a mature and sophisticated designs. Special compartments inside accommodate business essentials such as business cards, pens, laptops and paperwork. Like the professional backpack, you can expect to carry all of your work items but with additional room for your travel essentials. Business travel backpacks usually have special features such as a TSA-friendly laptop compartment, a larger main compartment for clothes, and special pockets for passports and boarding passes. Modern work backpacks are the perfect cross between business professional and urban casual. Meant to be dressed up or down, the designs and materials can be more adventurous than your average business backpack. There is usually an emphasis on organization, laptop carry and overall aesthetics. Fashion backpacks can be described as general-use backpacks that lean heavy in style and design. 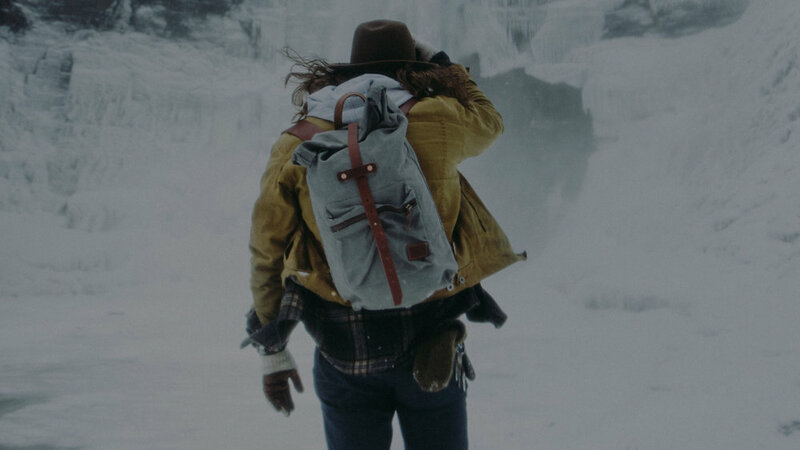 From throwback mountaineering-inspired packs to super-functional Kickstarter passion projects, these backpacks allow you to carry in style. “Urban backpack” is general catch-all term for a stylish general carry backpack. These backpacks usually emphasize functional carry for things like laptops, umbrellas, water bottles and other daily essentials. What makes urban backpacks so special is that here is where brands like to experiment with new materials, construction and designs. Because of this urban backpacks range from mid-tier to high-end and from functionality obsessed to totally experimental. So whether you are a daily subway commuter or just want a stylish way to carry your essentials, urban backpacks are your answer. Heritage backpacks became popular during the American Maker Movement in the mid-2000’s. It was at this time where young brands became inspired to produce handcrafted goods as a return to form. The style became so popular that mass produced backpack brands like Jansport even jumped on the trend. Many heritage backpacks are heavily inspired by old hiking and mountaineering packs but that’s about where their similarities end as they aren’t functional enough to be used on more than a casual hike. But one can still appreciate the craftsmanship of American-made brands like Bradley Mountain and Topo Designs. Recommended buying guide: 10 Backpacks Similar to Herschel Supply Co. Considered the chameleon of backpacks, convertible backpacks allow you to change the way you carry by converting the backpack into a tote, duffel or shoulder bag. Many convertible backpacks have shoulder straps that can be hidden or stowed away for an easy transformation. These bags are popular with travelers who want multiple looks without having to pack multiple bags. Tech backpacks are made specifically for tech carry such as laptops, photography equipment and drones. These specialty backpacks come in handy for professionals or enthusiasts who need a safe and comfortable way to lug around expensive gear and accessories. Although most modern backpacks include a laptop sleeve, a dedicated laptop backpack can still be a must-have if you carry lots of expensive tech and accessories. Many laptop backpacks include special pockets and compartments for accessories such as external hard drives, cables, and keyboards to help keep your gear safe and organized. For those with larger laptops, a dedicated laptop backpack is necessary since most regular backpacks do not accommodate laptops over 17-inches. Camera backpacks are made for safely carrying cameras, lenses, tripods and other photography equipment. Although these backpacks come in endless designs and sizes, you will know it’s a camera backpack because of it’s it’s compartmentalized main compartment and special pockets for camera bodies and lenses. Fashion camera backpacks have grown in popularity in recent years thanks to their on-trend designs and modular main compartments that allow the bags to also double as travel and daily carry backpacks. While wheeled luggage still reigns supreme for longer trips, backpacks are becoming increasingly popular as a carry-on option thanks to their hands-free carry and ease of use while on the move. Unlike weekender duffel bags, backpacks distribute weight evenly for a more comfortable carry. In recent years, new backpack designs have allowed travelers to ditch the carry-on suitcase altogether by allowing smart storage of things like clothing, shoes and toiletries right on your back. What sets weekender backpacks apart from regular backpacks is their large main compartments that open up like a suitcase for storing clothing, shoes and toiletries. It’s the same concept as a weekender duffel bag except in backpack form. While some weekender backpacks are strictly backpacks others can convert to duffle bags as needed. A packable daypack allows travelers to leave behind their bulky bags and luggage for a small lightweight backpack that can be carried on short hikes, out to the beach or while exploring a new new city. 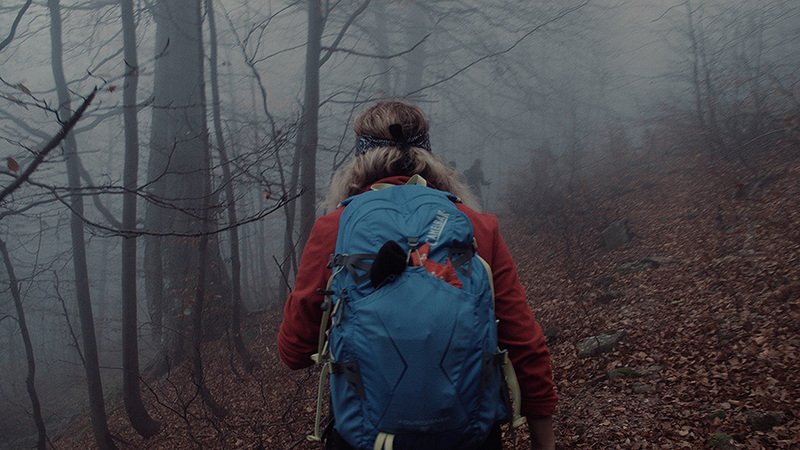 What makes packable daypacks special is their small footprint when empty. You can roll, fold and flatten a packable daypack to take up minimal space in your travel bags. Packable daypacks are also popular with outdoor enthusiasts who needs a smaller lightweight alternative to large backpacking bags when camping or on the trail. Popular with city travelers, anti-theft backpacks are made to prevent theft of the contents stored inside. Most anti-theft backpacks are daypacks, meaning they are meant for daily carry and are not large enough to use as a luggage substitute. Special zippers, anti-slash material and secrets compartments allow precious items such as passports, cash and other valuables to be carried safely. Active backpacks are designed for your daily grind at the gym, sports practice or while cycling to work. Unlike regular backpacks you may use for school or work, active backpacks take in consideration your activity by including special pockets for gear and clothing, attachments for accessories and waterproof exteriors. 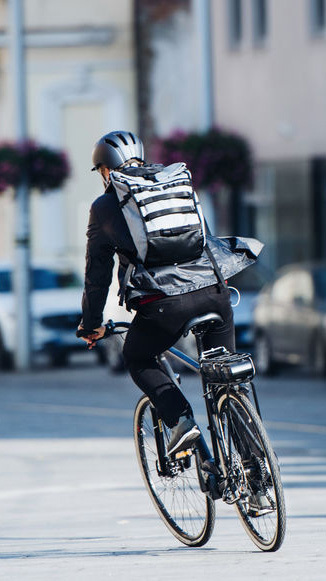 Made for people who bike around the city, cycling commuter backpacks allow you to safely carry your gear while on the road. Many cycling backpacks are weather-resistant or waterproof to protect your stuff from getting soaked during a rainfall. They also feature special attachments and pockets for things like bike locks and tools. Unlike gym duffels, gym backpacks allow for comfortable carry of workout gear, clothes and other workout essentials in a way that’s simple and hands-free. Gym backpacks come in a couple of different flavors; from a strict gym backpack to a multi-use work-to-gym backpack that can also store things like laptops, business items and other daily essentials. Specialty sport backpacks are made for lugging around extra clothes, shoes and gear to and from practice and games. Each bag is made with their respective sport in mind. For example, a basketball backpack may have room for storing a basketball or a tennis backpack may have special hooks and loops for attaching rackets. From baseball and basketball to tennis and golf, there is a backpack for just about every sport and activity. Made for outdoor activities, outdoor backpacks are designed for technical functionality and comfort at the forefront. These are the backpacks you take with you hiking, mountaineering, rock climbing and snowboarding. Is there an outdoor activity you love? There is probably a backpack for it. While we won’t list every single type of backpack for every activity, we will outline four types of backpacks that are commonly found in the outdoor space. Backpacking backpacks are made for those who need a comfortable and stable way to carry their gear during hiking, trekking and mountaineering trips. These backpacks are usually much larger than your everyday backpack and are designed to carry heavy loads for longer periods of time. Since there are so many different sizes and technical differences, these backpacks must be fitted to each person to ensure safe and comfortable wear. You’ll often see the same backpacking bags come in different sizes because of this. Technical backpacks usually have many of the same features found in full-size hiking and backpacking packs but in a smaller daypack size. These features include things like the ability to carry a water bladder, outside webbing and loop attachments, durable material and construction, and advanced adjustments straps such as a hip belt, sternum strap and shoulder straps. Just like backpacking backpacks, technical backpacks come in different sizes to fit different size people. It’s not uncommon to see the same style backpack in different sizes and in both men’s and women’s versions. Hydration backpacks are an efficient hands-free way of carrying drinking water. This type of backpack is very popular with runners, cyclists, hikers and just about anyone who participates physically taxing outdoor activities. While some hydration packs are just big enough to hold nothing but a water bladder (the portable pouch that holds your H2O) others also have enough room for food, an extra layer of clothing and other small items. We have added tactical backpacks as a type of outdoor backpack because of their military origins. Today’s tactical backpacks can be split into two polar ends; true tactical backpacks and fashion tactical backpacks. True tactical backpacks are the bags designed for those in military, law enforcement and other similar professions. On the other end of the spectrum are fashion tactical backpacks which focus less on function and more on style or “looking” tactical. These bags are just ordinary daypacks with molle attachments and other tactical-inspired dressings. Most tactical backpacks on the current market fall somewhere in the middle and offer a nice blend style and function.